In 12-inch nonstick skillet, heat 1 tablespoon of the olive oil over medium-high heat. 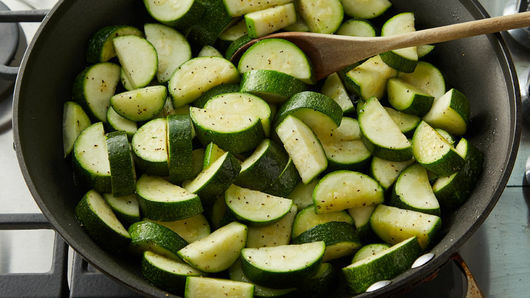 Add zucchini, salt and pepper; cook 7 to 10 minutes, stirring frequently, until crisp tender. Stir in garlic; cook 30 to 60 seconds or until fragrant. Remove from heat. Add tomatoes and 1/4 cup basil to zucchini mixture, stirring to combine; transfer to baking dish. Top with Italian cheese blend. 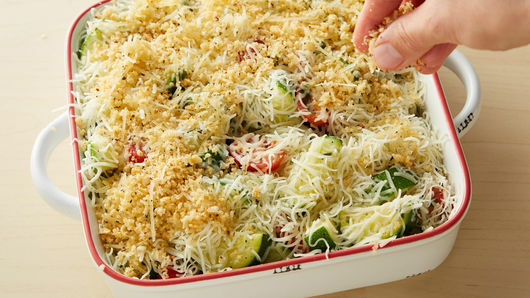 In small bowl, mix bread crumbs, Parmesan cheese and remaining 1 tablespoon olive oil. Sprinkle on top of shredded cheese layer in baking dish. 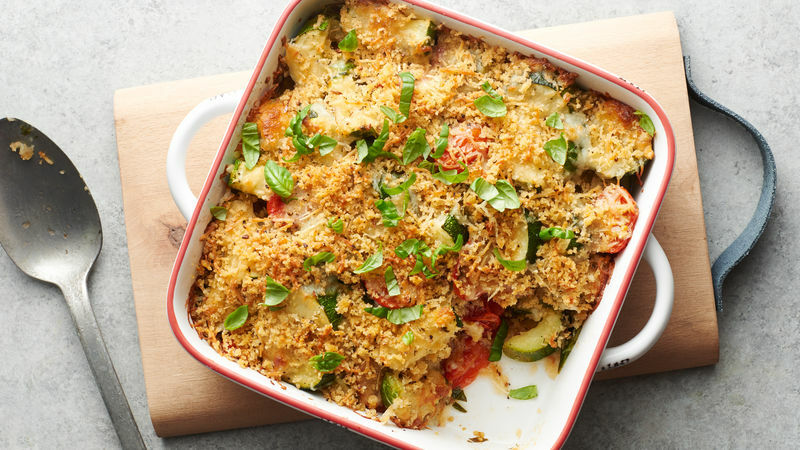 Bake 30 to 35 minutes or until cheese is melted and vegetables are tender. Top with additional chopped fresh basil. 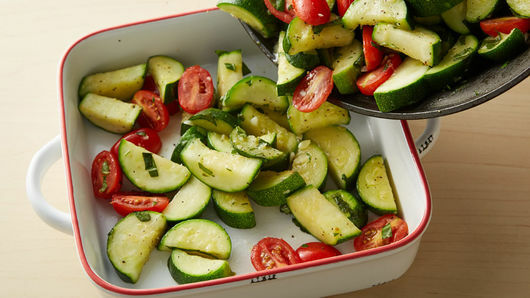 Zucchini and tomatoes will water out a little during baking, which is completely normal. Serve with grilled pork chops or chicken breasts for a great summer meal.